It’s no secret that people are now more inclined in using their smartphones and it has since become the primary method of accessing the internet. Businesses can use this fact to their advantage through the use of smart web design made by experts. There’s no better way to gain an edge online on-the-go than with the help of pros. It’s already quite a hard feat to gain more profit and build brand awareness but it’s even harder to develop your website and do the web design on your own without prior knowledge in the field. One mistake and you might make your website look worse or create further problems. In this digital era, your website plays a big part in creating a first impression and building the reputation of your business. For that reason, it’s always best to leave it in the hands of those who are already experienced in the field. In spite of the fact that e-commerce website owners need the help of professionals, many are still daunted to ask website development experts for help, not knowing how much of an advantage they could gain when they hire them. In fact, a seasoned web developer can provide a thorough analysis of a company’s competitors much more than an amateur developer can do. Pros are also more dedicated to carefully design your website. Since they already have a ton of experience, web design experts know which design would work best for your brand. Plus, they know how you could stand out from the competition with it. They don’t just sit there, merely making your web page aesthetically pleasing but they carefully plan every detail. From the color combination up to even how every button functions, they take their time to perfect your website design and improve it all the more to make sure that your website is unique but would still have a strong branding. Pro web developers also keep the satisfaction of their clients in mind first. 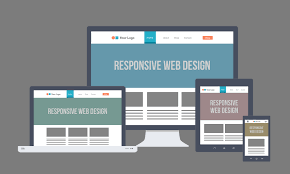 A professional web designer always work closely with his or her clients to make sure that they are on the same page and to see if the client is satisfied with the progress. Also, working closely with clients helps them learn more about the brand’s target market, competitors, as well as the brand itself to make sure that they are able to provide the best solution possible in boosting one’s business.